Heard of this saying before- "一步骤,零黑头"? Sounds familiar? Lets clear our doubt then! Yes, you are right! 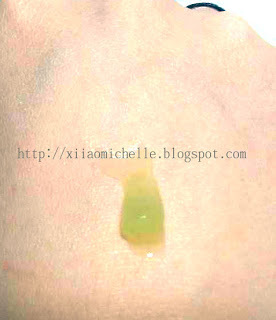 Its Ginvera's latest products range, Ginvera Green Tea Whitening series, endorsed by the famous celebrity, Michelle Chia! 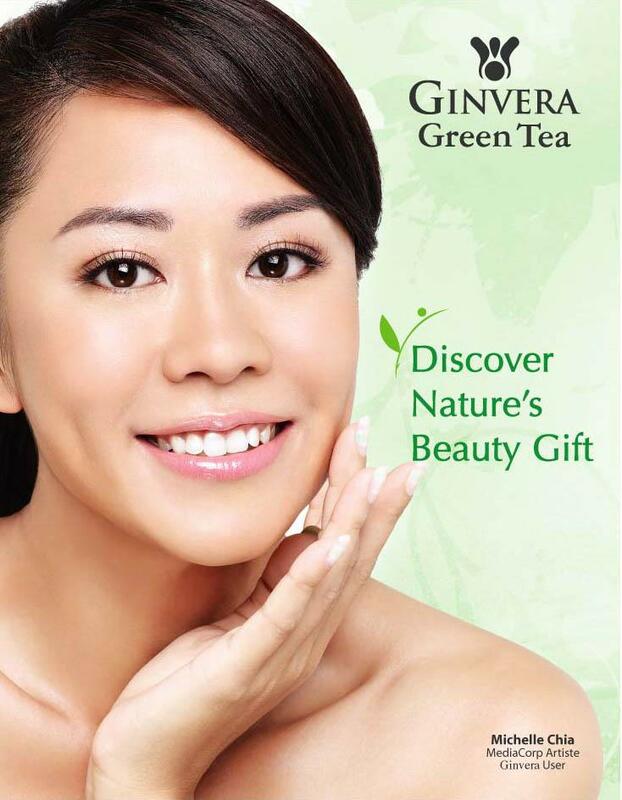 Since its first launch on November 12th 2010, Ginvera Green Tea Whitening series has remained popular in the market with its highly effective products. The series contains Green Tea extract as its main ingredient and enhanced with soybean extract together with active and herbal ingredients to restore skin’s fairness and clarity the natural way. -Green Tea is a natural anti-oxidant, well known for its anti-bacterial, astringent and anti-aging as well as UV protection qualities. 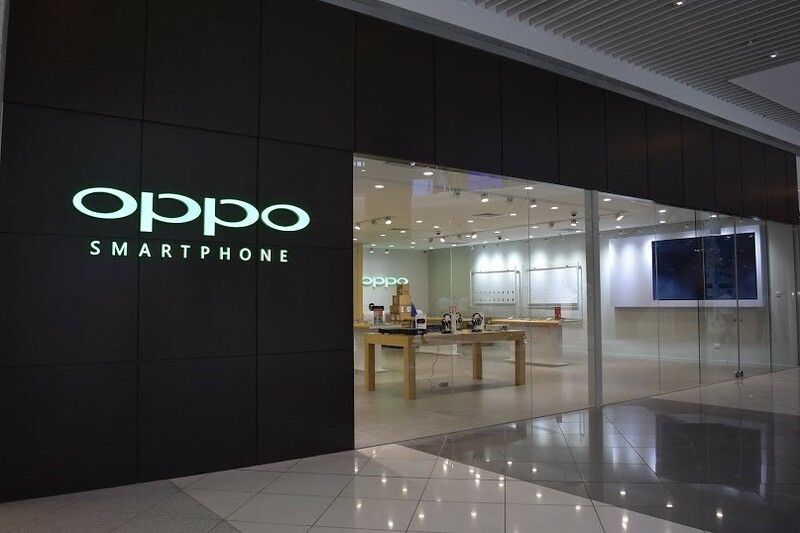 The Green Tea Extract used in the series has 20X more anti-oxidative power as compared to Vitamin C, providing superior protection against harmful UV rays by donating electrons to the free radicals, rendering them less harmful and reducing UV-related photo-aging. Vitamin E, one of the main vitamins found in green tea, is also known for its ability to help skin retain moisture to slow down the signs of aging. -The new and improved Ginvera Green Tea Whitening Series is also enriched with soybean extract for enhanced whitening efficacies. This unique soybean is fermented with Bacillus Subtilis to produce Cellplus+ (a soft liquid product that contains plenty of amino acids) which has strong moisturizing and whitening properties. skin cells. Helps brighten up a dull-looking complexion. from free radical damage and has enhanced whitening efficacies. and blemishes, renew and revitalize skin cells to restore radiance on skin. molecules for easier and faster absorption by the skin cell. So, with all the goodness pack in this product series, how can I resist not trying it! Lets see what Ginvera had sent to me! Firstly, allow me to introduce you their one of their Star Product, Ginvera Green Tea Whitening Marvel Gel ! epidermis layer. This gentle yet effective exfoliating action zeros-out blackheads painlessly and helps remove deep layers of dead skin. When the dead skin barrier is removed, the new skin underneath is revealed, allowing your skin’s healthy radiance to glow from within. It also helps in oil control to help you stay shine-free the whole day! 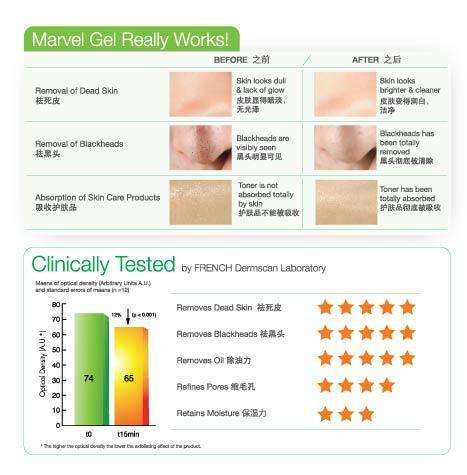 So how does Marvel Gel Works? 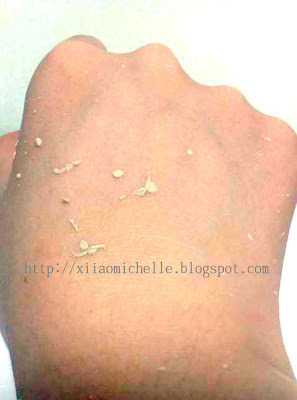 -The skin undergoes metabolism and results in the build up of dead skin barrier on daily basis. Exposure to pollution and dirt every day together with the improper removal of makeup and excess sebum will also cause the pores on your skin to be clogged up and results in the formation of whiteheads and stubborn blackheads. In other cases, bacteria infection might also cause inflammation of the skin, leading to skin problems like pimples and acnes. The dead skin cells barrier also obstructs the absorption of skincare products applied subsequently, putting them to waste. 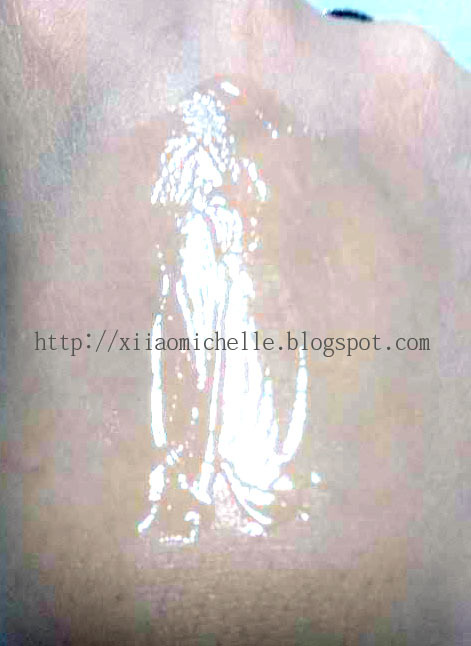 In addition, your makeup would not be able to glide on smoothly and might even appear cakey. Thus it is important to remove the dead skin barrier daily for a healthy glowing complexion free from blackheads! Regulates and helps control sebum secretion for a shine-free complexion whole day long. 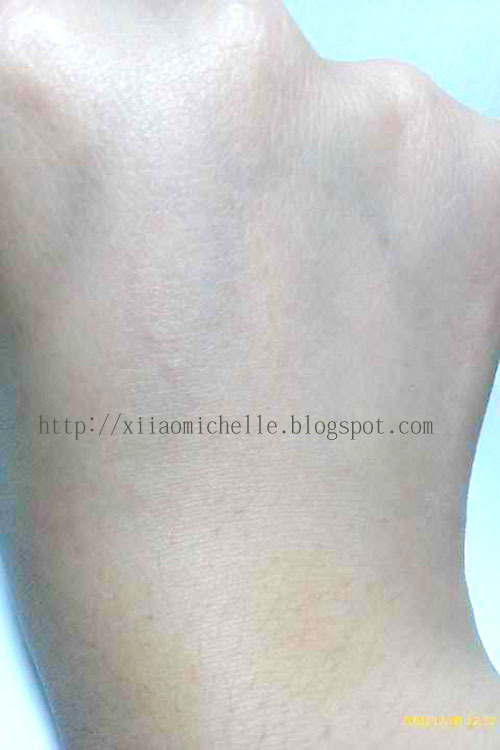 Whitens and evens out skin tone. Effective in helping to fading pigmentation, spots and acne scars over time. Refines and contracts the appearance of pores to reveal finer, smoother skin. Deeply cleanses pores and helps prevent the onset of skin problems like pimples and blemishes. Changes dull and rough skin to a smooth complexion, allowing makeup to glide on easily and adhere better to the skin. Allows better and faster absorption of skincare products that is applied subsequently. Before cleansing, squeeze an adequate amount and apply onto dry face and neck, focusing on the T-zone area in particular. Gently massage in circular motions until you can see small flakes appearing ( these are the dead skin cells and dirt from the skin). After massaging, wet your fingers and gently massage again, and wash off with water afterwards. 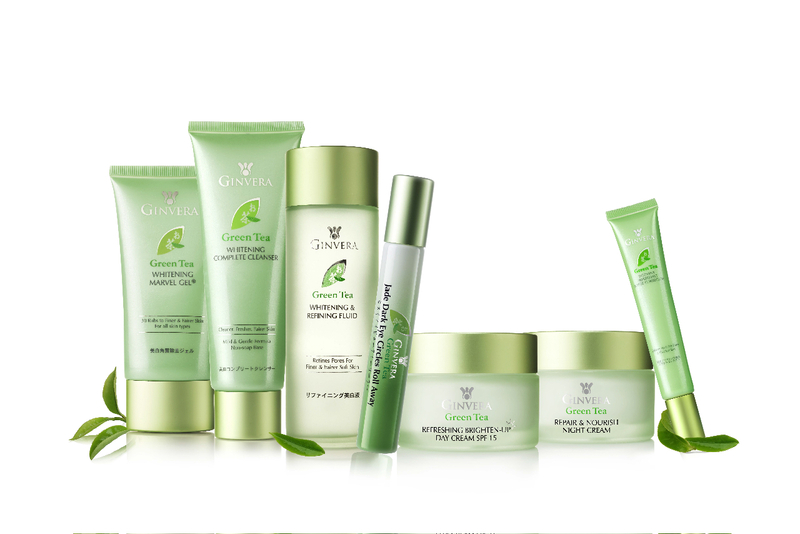 For best results, complement use with the Ginvera Green Tea Skincare Series. 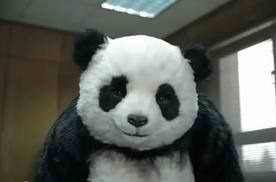 I'm sure none of us wants to look like panda right? But to some of us, or rather, majority of us DO have this problem, no matter how much we rest, we care for the delicate area around our eyes, there are times when DARK eye rings or eye bags would find us. I'm not spare from having this problem though! 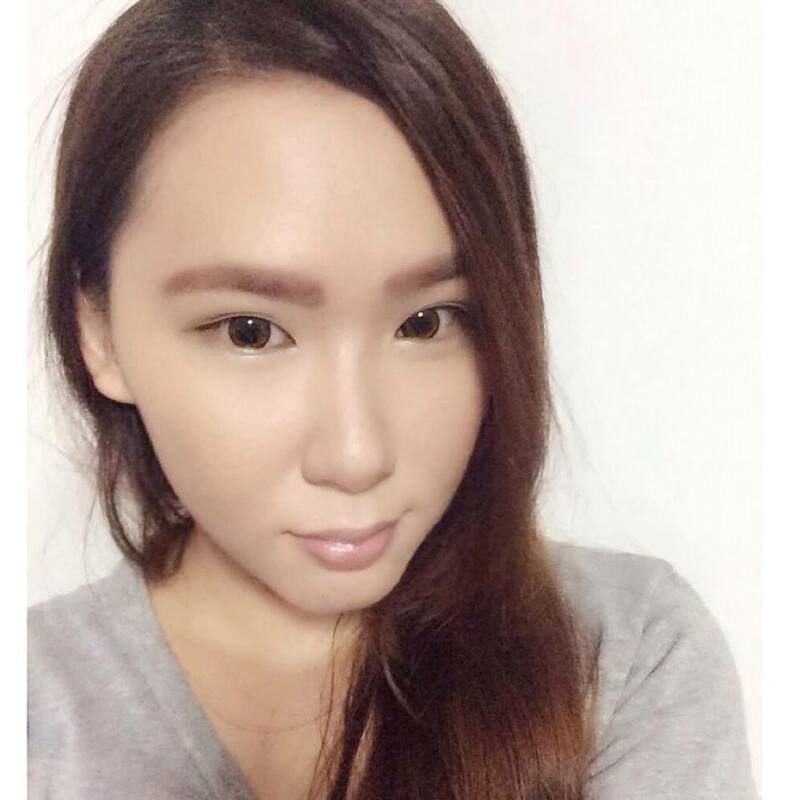 I got to agree that make up concealer might do wonders to cover up the flaws, but, wake up from reality! It doesn't solve the root of the cause! Jade – Not just an ornament, but an effective ingredient! Jade is precious gem common in the East. Besides using it as an ornament, it is also believed to have additional beauty and health benefits due to the ample amount of energy within. 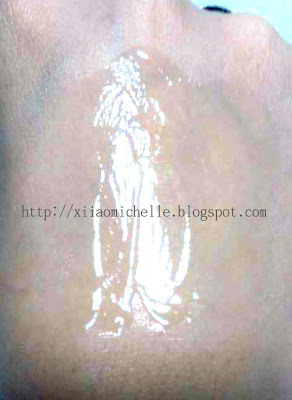 Therefore, it is commonly used as a massaging tool to enhance health and beauty, especially on the face. In modern scientific studies, Jade is found to contain trace minerals that are beneficial to the human body. Through massaging using Jade, this energy can in turn be “channeled to the skin and body” to help nourish and beautify the skin. Jade is a very good massaging medium as it contains trace minerals that is beneficial to the skin. Through massaging using the unique Jade ball, energy will ‘transmitted’ to penetrate into the skin for a brighter eye contour over time. Blended with additional Bio Energy ingredients such as Bio Energy Fluid, Bio Rice Fermentation essence, Royal Jelly as well as various precious herbal extracts like Ginseng and Pomelo, the Bio Jade Dark Eye Circle Roll Away deeply nourishes the skin around the eye contours while helping to “roll away” the dark circles effectively. With a more nourished and revitalized eye contour, eye makeup application becomes easier! - Use fingers to massage until fully absorbed. I've been using it every alternate morning (before my make up) and night for the past week and I noticed that there are some slight changes on my puffy eyes. It does not really helps me to reduce the puffiness, but after applying it, you would notice that the area around it feels cooling and icy, making you feel more comfortable. It reduces my dark circles though, making it less obvious! Oh ya, I noticed that my eyes are no longer that heavy every morning after applying it the previous night. Like what I mention earlier on, it varies from person. 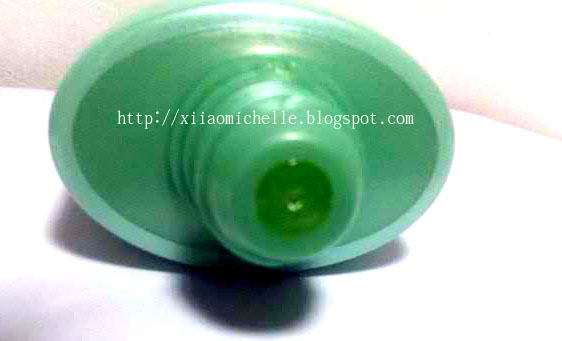 In this case, I use this Jade roller on my guy, whom is suffering from heavy eye bags, and guess what?? IT REDUCES HIS EYE BAGS BY HALF! Imagine the effect!! OMG! 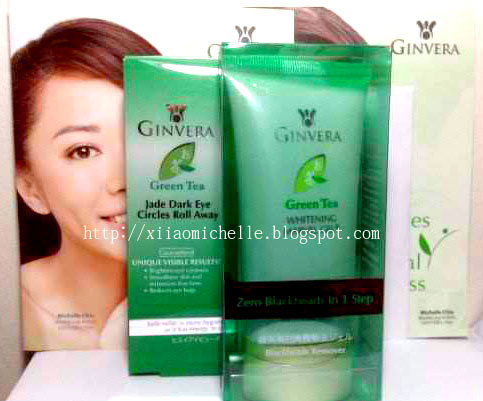 Check out other products in this series of Ginvera Green Tea Whitening range! 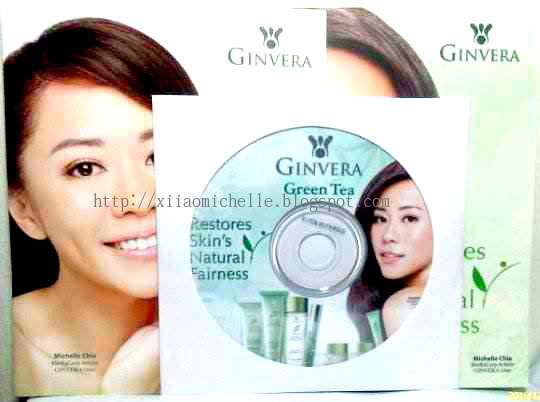 Step 1. : Redeem your FREE Ginvera Green Tea Whitening Marvel Gel Sample here: Redeem your FREE item here! Step 3. Share with us your Ginvera Green Tea Whitening Marvel Gel experience and simply post your review(s) on the Ginvera's Facebook Wall. Pictures and videos are highly encouraged! Contest details & whats the prize? 3 BEST reviews would be selected from the Ginvera Facebook Wall each week for a total of 5 weeks. 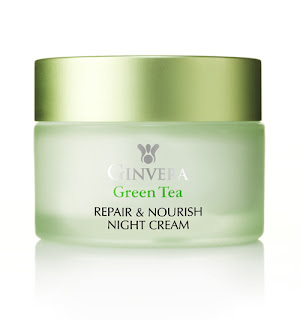 Winner(s) will each win a set of Ginvera Green Tea Jade Dark Eye Roll Away & Green Tea Whitening Marvel Gel worth $35.70! Winners will be announced on the Ginvera & TSS Facebook!